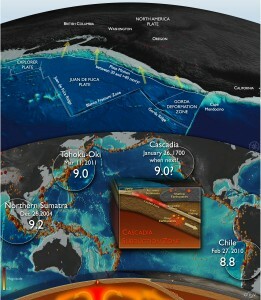 The devastating earthquakes off Sumatra, Chile and Japan have raised awareness of the inevitability of a comparable earthquake along the coast of the Pacific Northwest. Within the Pacific Northwest considerable efforts have been devoted to expanding seismic and GPS networks on land, conducting extensive offshore experiments with autonomous ocean bottom seismometers and installing cabled observatories. 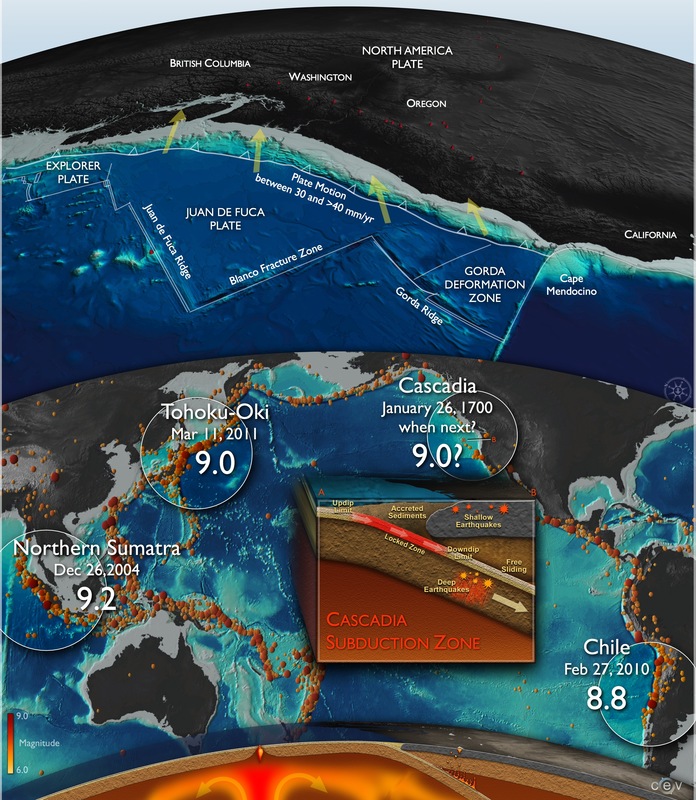 Relatively little attention has been paid until recently to seafloor geodesy despite its importance for understanding the basic science and hazard of the Cascadia subduction zone. In particular most of the locked zone that will fail in a megathrust earthquake lies offshore in Cascadia; its offshore extent and along strike variations not well constrained by land observations. Recently I have started collaborating with Mark Zumberge and Glen Sasagawa at the Scripps Institution of Oceanography and new faculty member Emily Roland in the School of Oceanography on a project to build and test an absolute seafloor calibrated pressure recorder (ASCPR). 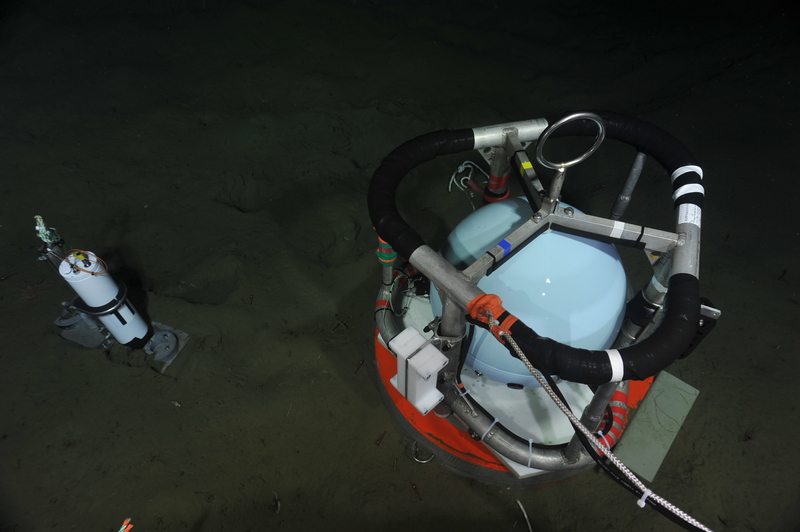 This device is transported with a remotely operated vehicle and uses a dead weight tester to obtain campaign style absolute pressure measurements on seafloor benchmarks. The ASCPR will provide a means to remove the drift from continuously recording of pressure gauges and thus make it feasible to observe seafloor elevation changes associated with secular strain (i.e., plate locking).